Built under ABS survey by the Legacy Marine Group in Port Elizabeth (South Africa), STAPEM Beluga operates off the angolan coast. 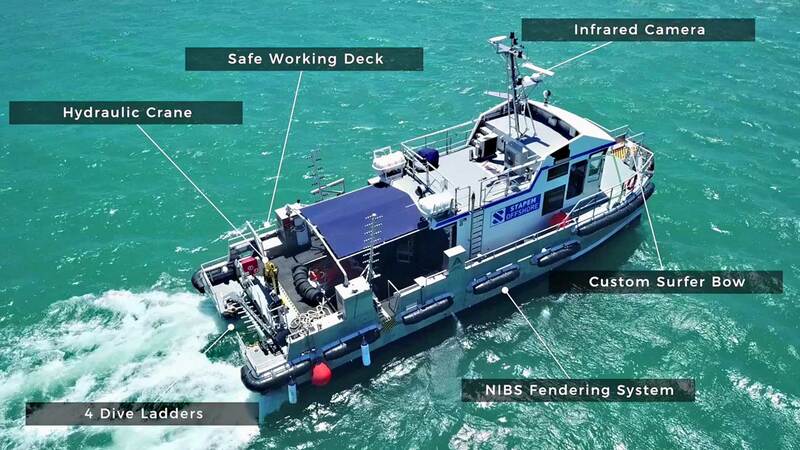 Discover in this video, edited by Legacy Marine, the main features of this innovative & sturdy 19.5m Incat Crowther designed vessel. STAPEM Beluga’s sister ship, STAPEM Narval, is currently under construction at Legacy Marine’s yard, with an expected delivery date of december 2018 in Angola.